The design concept is a very important consideration for your bathroom, whether it is traditional or contemporary or modern. While buying bathroom collections for your bathroom, consider the space available, budget and the functions you need. There is a wealth of choices when it comes to selecting fixtures, faucets and accessories. By mixing and matching products from different manufacturers, you may get dismayed to see that it looks out of place or some may not function as well as they should. To reflect harmony, it is important to choose products from a collection in which each component reflects single distinctive style. Choosing from a collection can provide an easy one stop shopping. The first elements that you focus on would be faucets, sinks, towel racks and mirrors. With a lot of options available, choice of finish reflect your personal style for your bathroom collections. You must have the factor of durability in mind. Choose a finish that is appropriate to the style of fixtures. There is bronze, gold, brass, polished chrome, nickel. For example, if you have chosen gold lighting fixtures, then it is good to match it with gold finish faucets and towel racks. Metal finishes are not same with manufacturers. Stainless steel finishes vary from one manufacturer to another due to the difference in nickel content. Good companies use stainless steel with higher nickel content. Buy bathroom accessories in Dubai from good companies that sell high quality products. You should check whether sinks, faucets, toilets, vanities and accessories function well. They should also match together in size and scale to give it a perfect finish. A big faucet to a small sink would look bad. Contemporary sink or faucet when matched with an antique mirror or lighting would look distasteful and disconnected. Your faucets and showerheads should complement with your fixtures. There should always be more than one lighting fixture in your bathroom, a ceiling light and one in the vicinity to the mirror. There are wall sconces, pendants to choose from. Prioritize your accessories, as not all need to be bought. Accessories you truly need are sinks, faucets, showers, floor drains, mirrors, and many others. Small bathroom accessories would include a soap dish, toothbrush holder, shower curtains, toilet paper holder. These accessories though small have a great impact on the décor and are needed in every bathroom. They come in different colors, shapes, textures, sizes and materials to match with your fixtures. While buying bathroom accessories, you must see whether they are worth the cost and of good quality. You should check the warranty of these items before buying. Knowledge of these matters will enable you to buy and choose the best bathroom accessories. 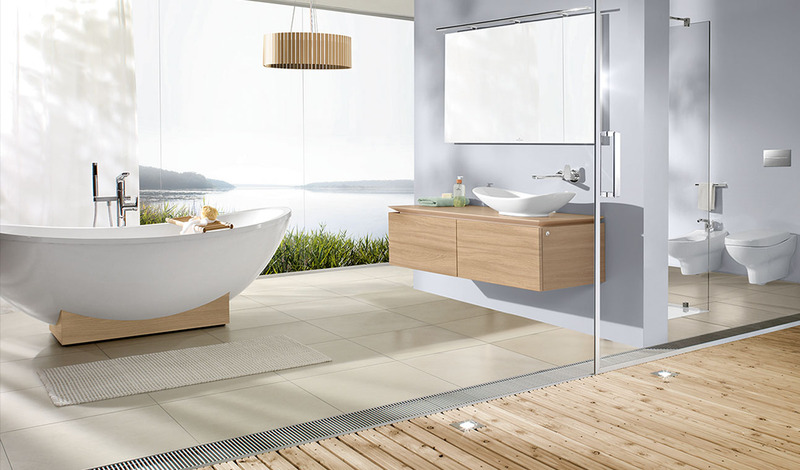 You can buy a whole range of bathroom accessories from sanitary ware suppliers in UAE or Dubai. If you are considering remodeling or renovating your bathroom or building a new one for a new house, there are many bathroom collections in Dubai or UAE to choose from. You would love to design your bathroom comfortable and beautiful. Bismil is a digital marketing professional and blogger who love to spend useful time on internet and love to give some ideas in this article to choose the best bathroom collections in UAE to make your home beautiful.